Welcome to the Astrochemistry Laboratory at the NASA Goddard Space Flight Center. We are located in Greenbelt, Maryland, just outside of Washington, DC, in NASA's first science center, where our scientists are part of the world's largest Earth and space-science research organization. These pages will introduce you to people on the frontiers of exploring the chemistry of the cosmos. Information about our work also is here, along with scientific data and links to original publications. Members of the Astrochemistry Laboratory conduct remote sensing, in situ, and direct sample-return measurements, as well as observations, modeling studies, and laboratory experiments to better understand chemical processes in astrophysical and planetary environments. Laboratory personnel also develop X-ray, gamma ray, and neutron instrumentation for planetary missions. 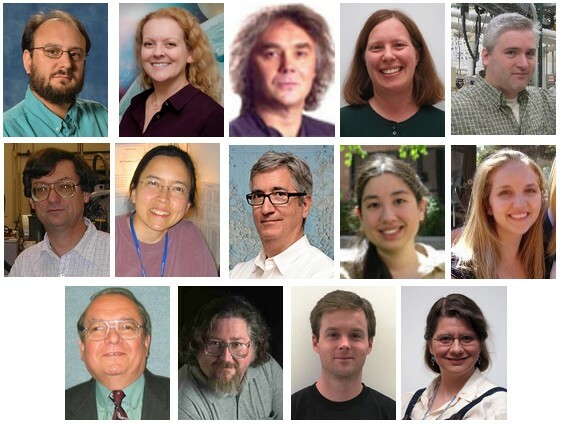 A photo-roster for the Astrochemistry Laboratory's people is here. General inquiries about the scientific programs at NASA's Goddard Space Flight Center may be directed to the Office of Public Affairs at 1.301.286.8955.